The EU is holding out an olive branch to the UK, but it's poisoned with fears the Uk will be trapped in limbo forever. Angela Merkel is beginning to bend a bit on Brexit. She has to. German exports will collapse if there is no Brexit deal. There is a duality in the Brexit process - a trade-off between the likelihood of a deal against the likelihood of ratification. This week, the former went up, and the latter went down. We have been close watchers of more than a few conflicts in the EU over the last 30 years, but none quite so intractable as this one. The chances of a deal in the European Council are indeed higher. What we find particularly significant was the intervention by Angela Merkel who urged both sides to show compromise. As the FT reported this morning some observers saw in her remarks a message that the EU negotiating team should rethink its approach to the Irish border. She also stressed that in the event of a no-deal Brexit there would be a hard border in Ireland, something the Irish government still seems to be in denial about. There is now one, and only one, avenue towards successful Brexit deal: a late agreement, possibly as late as early January. As became evident this week, this agreement will involve a longer transitional period, but it will also include new elements with the aim to provide a political safeguard to the UK that the Irish backstop need not be triggered. The reaction among UK Brexiteers to a longer transition period is bordering on the hysterical. The ultras are now openly campaigning for a no-deal Brexit. They are urging May to reject any notion of an Irish backstop - which amounts to the same. The DUP's language was more moderate. They said that an extension of the transition does not solve the problem, which is of course correct. As we are now headed into overtime, preparation for a no-deal Brexit are starting in earnest on both sides. This will continue even after a deal, all the way until ratification in the House of Commons which may not happen before March. If there is no majority for May’s position early on after a deal, preparation for a no-deal Brexit will intensify dramatically, in the industry, in the UK government, in the other EU27 member states and at EU level. We would expect the EU and the UK to negotiate a series of mini-agreements to ensure that customs borders are technically operational. We think a no-deal Brexit is undesirable for many reasons, but we should not overestimate the potential of a no-deal Brexit to scare hesitant MPs at a time when most of the frictional costs associated with a no-deal Brexit, will have already been incurred. We fear that another Project Fear episode, this time in relation to a deal, could badly misfire. 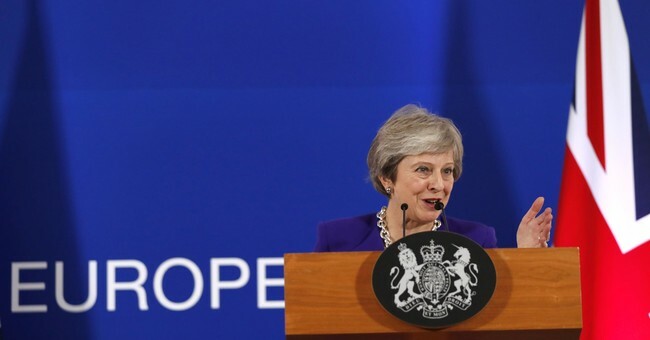 We think the best strategy for May is to go for a 9-12-month extension of the transition period and a barebones trade deal - one that only requires EU-level agreement - as a backstop to underline the finiteness of the transition. The longer May takes to agree to a deal, the more Merkel will bend. Not only has Merkel's "grand coalition" collapsed, so has the German car industry. Germany is heavily dependent on the UK for exports. EU infighting with Italy's budget and rising yields in both Italy and Spain are more headaches. Since many of the costs of a hard Brexit are already baked in the cake, May has nothing to gain by making concessions. Indeed the UK's best option is simply to walk away counting on a series of mini-deals that both sides will need equally. A delay serves no real purpose. Another year will not fix the Ireland issue.